When planning to install Bi-Folding doors or floor-to-ceiling glazing this is a check list of points you will benefit from considering in view of the successful inclusion of blinds within your finished design project. What are the main reasons for having blinds in these living areas? Clever shading around glazed and bi-fold doors can help make the room warmer in the winter months and feel dressed at night and during the shorter days. They also help keep the room cooler during the summer and on sunny days. Reduced glare is also a big advantage, as well as the blinds’ ability to reduce exposure to UV rays. Finally, blinds on such large expanses of glass can provide additional privacy, security and conservation of heat. What about motorisation? Is it necessary? New child safety regulations have made window blinds more awkward to operate – hanging cords must be kept at a height away from the reach of young hands – and so motorisation is becoming more of a popular necessity than just a luxury. 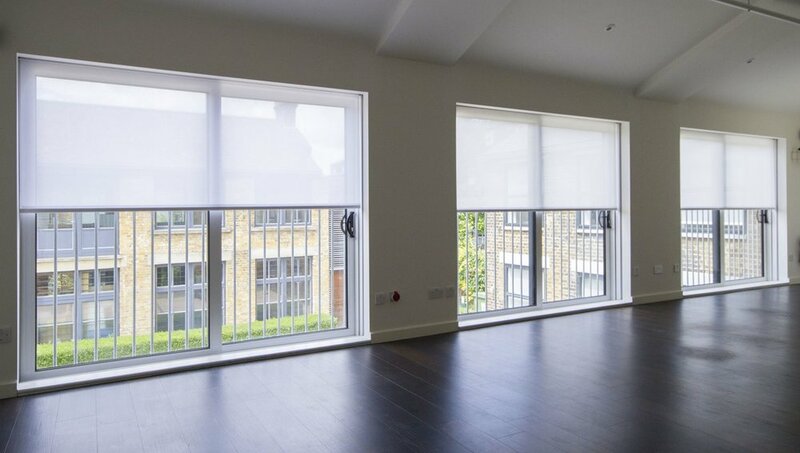 Motorised blinds can be supplied to work individually, but they are normally programmed in a number of window groups to suit your specific requirements. We want to keep the open space in our room looking and feeling as minimal as possible. How can we be sure the blinds won’t spoil this? 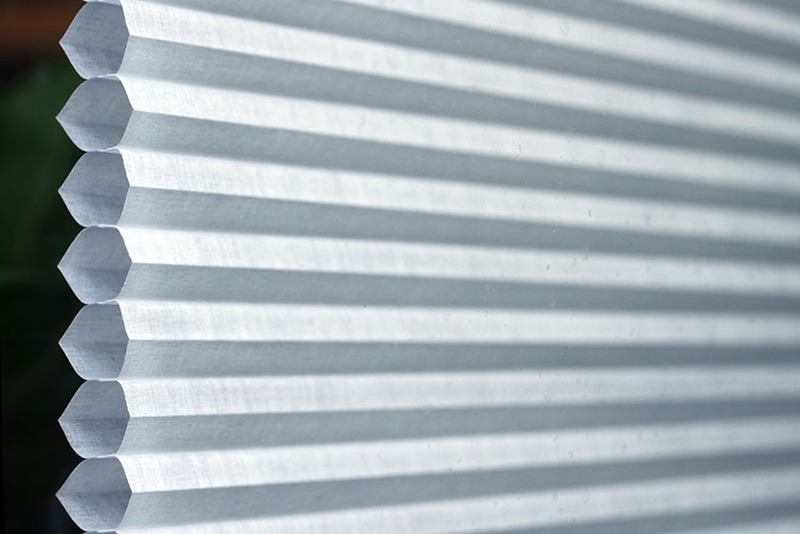 Blinds from Grants – including motorised blinds – can be extremely discrete. Stacked blinds can often be housed within the ceiling or construction, meaning they are barely visible. 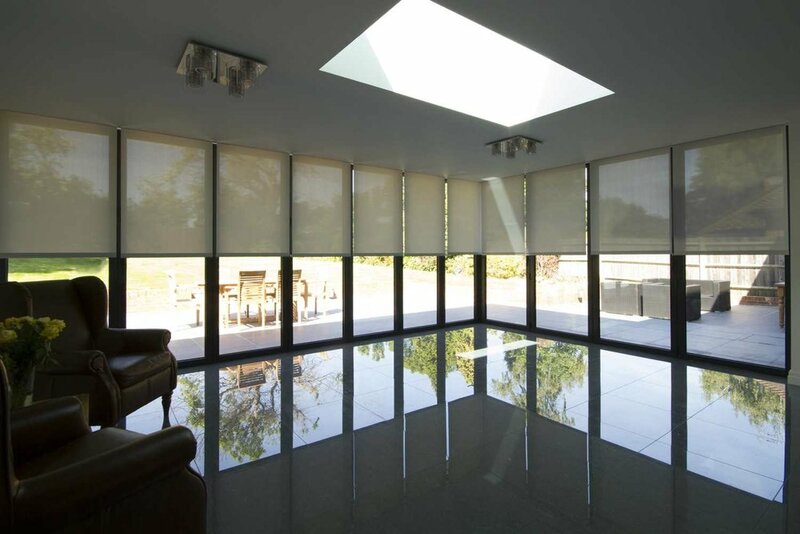 Blinds can be supplied with or without a cassette to house the blind when not required.